One of the things that excites me the most about skincare is its capacity to interest me in other things, such as learning Hangul to shop for products directly from Korea, how ingredients like ceramides are really cool but that ingredients lists aren't predictors of success, and most famously, why the pH of your cleanser matters. The science of skincare is so vast and ever-evolving that it's constantly supplying me with fascinating new things to learn. Since writing the above pH post a year ago, I've had the chance to discuss it with many interesting people, from nerdy skincare bloggers like me, to new users who are trying to make sense of their skin, to chemists and scientists from various fields who have a concurrent interest in skincare. I have two goals in this post: to clarify my personal thoughts on pH and its role in skincare, because I have noticed a trend of it being taken out of context, and also to help others who are grappling with trying to understand a complex system without a chemistry background. I don't have a background in chemistry nor do I have a scientific or medical degree, but one of the many blessings my blogging journey has brought me is friendships with those who do possess them and are wiling to answer my endless stream of questions. pH strips: familiar friends, but what are they actually measuring? This has lead to a lot of late night conversations involving things such as the periodic table, chemical compounds, and how O- molecules are really randy. Science can be dense and difficult absorb, so I'm going to be using my powers of perversity and explaining things using NSFW analogies which are both entertaining and, as my chemist friends assure me, accurate. What role does pH have in my personal skincare approach? What is an acid? What is a base? 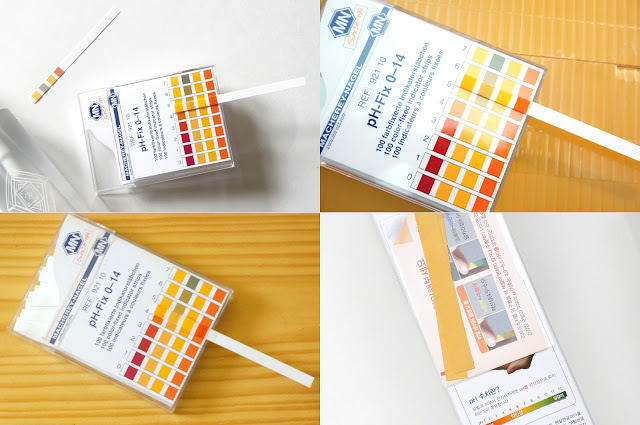 What does a pH test measure? Warning: this post will contain some R-rated analogies in order to explain some very challenging concepts, so if you aren't comfortable with that, I'd recommend stopping before we get to the section on Everybody Wants Some H+ to Love. The idea that there is a 'magic bullet', that we just need to solve one thing and that it will be The Whole Answer, just isn't realistic. Just because something is a specific pH doesn't make it safe, nor does it predict how it is going to react on your skin. In Why the pH of Your Cleanser Matters, I presented the results of my research into the actual scientific studies that had been done on the efficacy of low-pH vs high-pH cleansers, the pH of the skin and its acid mantle, the impact of unbalancing your acid mantle via high pH and its role in acne proliferation, and what sort of effects repeated use of high pH products have on the skin. There has been a lot of discussion about the role of pH in skincare, and a disturbing trend towards dismissing the plethora of studies available that support pH-conscious skincare without actually taking the time to either cite a range of supporting research or in some cases, not doing any research at all. I have pondered what the potential reasons for this might be, and I came to the realization that there may be a misunderstanding on the role that pH has- namely that it's just one factor to consider in an overall landscape and certainly not the be-all and end-all of considerations. There is a danger in 'overstating' the role of pH; the risk of thinking that if high pH = disruptive to healthy skin function, then therefore low pH = non-irritating and promotes healthy skin function by default, no matter other factors. Here's the problem with that: pH is just an indicator of whether something is acidic or basic, it is not a predictor on how it will react with your skin. Is there solid, corroborated, plentiful, peer-reviewed research out there measuring the importance of pH for the skin and the damage that high pH products can have? Yes, absolutely. Does it mean that you can focus solely on pH and ignore the rest of the formulation? Emphatically, no. Let me give you an example. Pure water (as in, H2O) is pH 7, and is the neutral point of the pH scale- it's common knowledge. That does not mean that everything that is pH 7 is safe and harmless to put on your skin, because even if the solution is pH 7 like water is pH 7, the solution is not water. 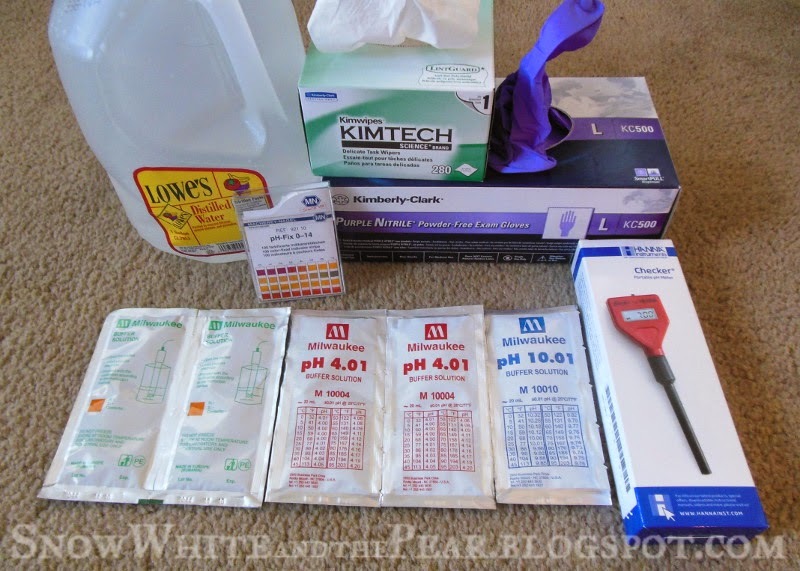 I have pH 7.01 calibration liquid for my digital pH meter, and I can assure that not only would I not attempt to drink it, I wear gloves while handling it to avoid it getting on my skin. I'll give you another example. In the last year, I have tested and used somewhere in the range of 10 low pH cleansers. Some of them I liked, such as the Su:m37 White Award Enzyme Powder Wash and Miracle Rose Cleansing Stick, or the Sulwhasoo Snowise Ex Cleansing Foam. Others, such as the Missha Super Aqua Oxygen Micro Visible Deep Cleanser, my skin hated with the passion of a thousand angry pores. Some were completely unremarkable. That doesn't mean that the Missha is a bad product, in fact Jude at Fifty Shades of Snails quite liked it. By the same token, Tracy at fanserviced-b cannot handle anything that has myristic, stearic, or lauric acids, regardless of the pH, and Dee from adoredee cannot use products containing SLS, again no matter the pH. Also, like most people obsessed with skincare, I have skin troubles I'm trying to solve. Some people are blessed with skin they can wash with Irish Spring mixed with the blood of innocents and look flawless- others such as myself have to work hard to achieve "can leave the house without wearing a paper bag" goals and that means looking for areas of opportunity where we can take at least one burden off the plate of our struggling skin. As Jude at Fifty Shades of Snails puts it, a low pH lifestyle is a "skincare best practice" and I think that's a perfect way to look at it. Do you really need to go this far for the sake of your skincare? Spoilers: nope. Now, ready to get to know pH like you've never known it before?! One of the criticisms that have been made of #lowpHlife skincare fans is that we don't really understand how pH works, and while that is valid, I don't think that makes us incapable of reading studies published by bona fide scientists who most certainly do, and therefore educating ourselves on our personal skincare journeys. I also don't agree that science is something that should be reserved only for the elite- while I leave the actual practice to the experts, I don't think there's anything wrong with seeking knowledge and expanding one's understanding. Don't be intimidated; pH is one of the earliest things taught in chemistry and it's more accessible than you think- you just need to find a resource to help you learn. To that end, I sought out my friend Meredith, who is in the senior year of her degree in Chemistry and Math, and is currently working on her honor's thesis in an analytical chemistry research lab. Meredith, like many scientists, has a passion for science and a genuine interest in sharing it with others. With her help, I've developed the following analogies which, while accurate, help make the actual mechanisms of pH more accessible to laypeople like myself. pH stands for 'potential hydrogen'**, which means it's a measurement of the amount of free-floating hydrogen atoms (H+) in a solution. It's logarithmic, which means that each level is a factor of 10; pH 5 is 10 times lower than pH 6, and 100 times lower than pH 7.
pH can change quite quickly (unless buffers and weak acids/bases are involved, which I am not going to get into here) as hydrogen ions (charged atoms) mate with, break up with, write emo songs about, and move on to other atoms. ** the exact definition of pH is somewhat disputed, with some preferring "power of hydrogen" and other hydrogen-centric terms. pH measures hydrogen, let's go with that. 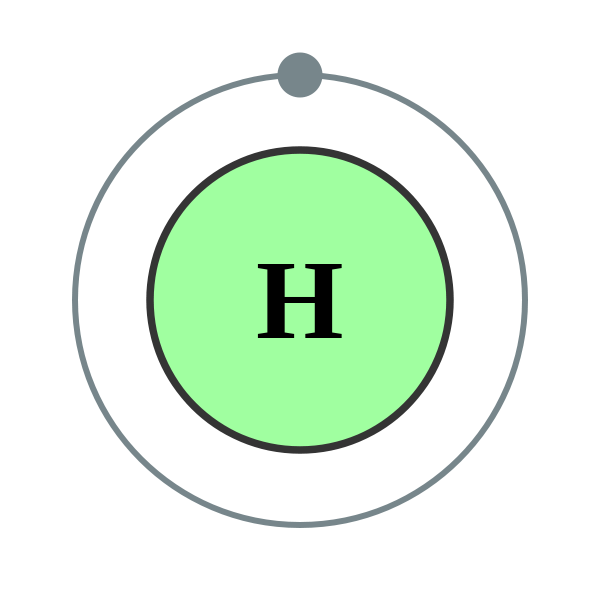 Hydrogen (H) is an atom with a single proton and a single electron (which is its 'clothes'), and it's a clothing-optional kinda atom; it's fine with going naked and electron-free, or fully 'clothed' with 2 electrons by holding hands with another atom's electron. When it's 'naked', (and it can become naked by its ex-atom stealing its clothes like a creeper when it left him) it becomes positively charged thus written as H+. Like all positive people, H+ is very friendly and in high demand at social events where clothing is optional, such as the formation of molecules with other atoms. Hydrogen is also pansexual; it's capable of shacking up with a lot of different atoms and is open-minded about partner swapping. Oxygen (O) is an atom that just doesn't feel complete unless it has the love (and electrons) of another atom; in fact it needs two electrons, so it's happiest when it has two Hydrogens snuggled up against it. It also has a creepy thing about occasionally hoarding the clothes (electrons) of its ex-Hydrogen-girlfriends at times. You do you, Oxygen. This Oxygen dude with a Hydrogen lady on each arm is the central figure in our pH party: H2O (Hx2, plus an O) aka water. Here's a fascinating thing about water. As I am sure that you can imagine by looking at this photo, it's capable of a fair bit of ... flexibility in its choice of partners and the number of them; it can actually act as either an acid or a base, depending on the environment it's in. What is a base? One of the definitions of a 'base' is that it's a "proton acceptor", meaning that it's interested in getting its hands all over your ... protons. Oxygen in particular is quite randy- even though as H2O he's got his hands full with a main H and a side chick H, he's still interested in adding a third H (on the weekends) and thus becomes H3O+ (Hx3, one O) but at that point, he's juggling 3 H and they're starting to wear him out, so he regretfully tells the next H that comes along that she's cute and all, but he's not interested. He's no longer able to accept another proton, so he is no longer able to act as base, because he's become an acid. (H3O+ is Hydronium, which is acidic.) Also, the Hs are getting restless from his divided attention, and if a handsome OH- comes by looking for the right H+ to bring home to his mother, well, one of them is going to jump ship. What is an acid? One of the definitions of an 'acid' is that it's a "proton donor", meaning it's got an extra proton if you're in the market for one. Let's say that H2O (as pictured above) and his duo of H ladies meet up with an actual base that is looking for an H to complete him, Jerry Maguire style? He's offering commitment, wine, home-cooked dinners, a cute dog, and long walks on the beach. H2O concedes that the wooing powers of the base are no match for him, and one of his Hs deserts him. He becomes OH- (Hx1, one O with a sad face, because his now-freed arm makes him lonely) is no longer able to act as an acid, and has become a base. (OH- is Hydroxide, which is alkaline.) The ability to give up an H (proton and all) is how water can also act as an acid. Even if doing so leaves him thirsty for a new H+ if he can get one. So that's how water can act as either a base or an acid, even though it's neutral. How cool is that?! Well, as I mentioned above, pH measures the concentration of happy-and-single H+ floating around. ** If there is a lot of excess H+ zooming around, unattached but possibly interested in shacking up with your atom if it likes your style, it's an acid. The more free-and-flirty H+, compared to stable H2O couple units, the more acidic the solution. ** there is also the measurement of H3O+ but I'm trying to keep things simple here. In fact, think of water as a club. You've got horny and uncommitted Hs and Os all milling around, eyeing other partners, leaving their squad, hooking up with that OH- looking all hot and broody in the corner, and forming H2O, then seeing their friends dancing in a H2O molecule over there and wandering over to form a H3O+. As Chel at Holy Snails put it when I asked her to check over this post and independently confirm if I had my science straight (she has a degree in Biology and Chemistry), she confirmed: "H2O might exist for a bit, but a nearby H2O might waggle brows and snag one of the H+ for itself a bit, leaving temporarily OH- and H3O+" Sounds like $2 Tuesday at the bar down the street from my alma mater. Too many dicks and not enough chicks indeed. The lack of available H+ and the excess of negatively-charged and desperate atoms indicates that the solution is a base. So in the case of acids and bases, even if partners are swapping and combining and recombining, ultimately the overall makeup of the crowd isn't going to change; by determining what kind of partners are 'left over', we can measure its pH. As a reminder, pH is the measurement of the concentration of H+ compared to regular H2O units. This is why adding water to a solution can either change it not at all, or change it a lot. I found this part really confusing before Meredith came to my rescue- does mixing a product change it's pH or not?! The answer is in concentration of H+, which is what pH measures, right? Think back to the 'basic' club; it's a massive sausagefest that is bereft of available H+. What happens if a few H2O units show up? Not much; the ratio of H2O units to thirsty OH- is still heavily against most of the OH- finding a free H+ to take home. If you survey the crowd (aka test), it will have an overwhelming concentration of lonely bros. But what if the club is flooded with H2O couples, to the point where most of the crowd is H2O and there are only a few sad OH- lurking in the corners? When you check out the crowd, you won't notice them anymore, and your 'reading' will reflect that. So adding a little bit of water (such as what you might need to foam up a cleanser) will have little impact, but adding a huge amount of water would throw off your result. I loved this post for a number of reasons but especially because my main issue with the low pH train has been that some people seem to think that it *is* the end-all-be-all of cleansers and their efficacy and it has the occasional turn to go militant with some very well-meaning individuals. I love that you explain both how it is important and how for some people, it may not matter as much as it might to others; that there are other factors at play; and that skin is so much about personal needs that the adage of "best practices" with an implied 'for you' is the only skin motto that matters. Not only that, but you break down the scientific stuff in a way that's informative and entertaining, so that people know WHY it is important and HOW this information fits in the context of the larger picture of a whole skincare routine. This was a great post. Thank you for writing it! I loved this post. You made explaining PH fun. I really learn alot from ur blog and right now i'm still learning lol since i am noob when it come to skincre. Is this correct. Do i need to use the ph adjusting toner. Can u recommend the good one other than mizon? Thanks in advance..